MItsuzawa Park (三ツ沢公園) is one of the popular Hanami spots in Yokohama. There are about 1,400 Sakura in this park. 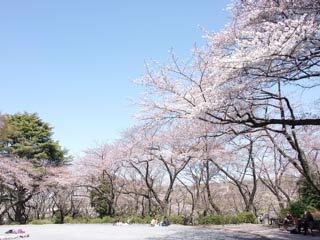 When Sakura bloom in early April, many people have Hanami party at this park. Sakura at Mitsuzawa Park are mostly Someiyoshino. Mitsuzawa Park was used for Tokyo Olympic. Therefore, there are many sports facilities in this park. Hanami Spots is located northern part of this park.